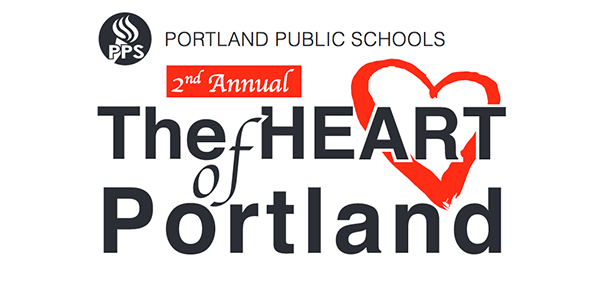 You are invited to The HEART of Portland: A PPS K-12 Arts Showcase at the Portland Art Museum, April 4-16, with an opening reception April 4. What: The HEART of Portland K-12 Arts Showcase is a special celebration of the visual and performing arts produced by our students from our schools across the district, selected by our art teachers for this exhibit. Why: The show is a tribute to Portlanders for their investment in arts education through the Portland Arts Education and Access Fund. The Arts Tax, in its third year, provides instruction in all of our K-5/K-8 schools in music, dance, drama and/or visual and media arts. Where: Portland Art Museum’s Mark Building, 1119 SW Park Ave, open to the public free-of-charge during museum hours from Monday, April 4-Saturday, April 16. Free reception: Monday, April 4, 6:30pm-8:30pm, opening reception, students will perform in the Fields Sunken Ballroom in the Mark Building and attendees will tour an 80-piece visual arts gallery. All PPS families and staff are invited and encouraged to attend the reception, which is free. Sponsors: Portland Art Museum, OnPoint Credit Union and Artslandia Magazine.